Included below are homes for sale in Bay Park San Diego. If you would like more information on any of these Bay Park real estate listings, just click the "Request More Information" button when viewing the details of that property. We can provide you with disclosures, past sales history, dates and prices of homes recently sold nearby, and more. And, if you haven't already, be sure to register for a free account so that you can receive email alerts whenever new Bay Park houses come on the market. When searching for Bay Park homes for sale you will find Bay Park is part of the San Diego suburb of Clairemont, an area that is also known as Clairemont Mesa. As a whole, Clairemont covers an area of just over 13 square miles and more than 80,000 people choose to call this city home. Clairemont is made up of several smaller neighborhoods, including North Clairemont, Clairemont Mesa East, Clairemont Mesa West, Bay Ho, and of course, Bay Park. While it can be difficult to commute into the city from some of the outlying parts of San Diego County, Clairemont lies just 11 miles north of the city center, providing its residents with a reasonable commute time. Clairemont is perfect for those looking to work in the city but live somewhere more affordable. 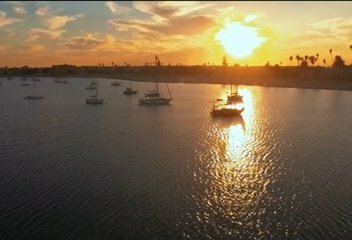 Bay Park is particularly popular because it lies at the southern end of Clairemont, meaning that the residents of Bay Park will have an even shorter commute than those people living in Clairemont’s other neighborhoods. One of the drawbacks of living in Bay Park is that the area is less walkable than some of the other coastal cities near San Diego. This, coupled with the lack of public transportation into the city, makes owning a car a necessity in Bay Park. Having said that, there are still plenty of opportunities to get outside and walk around in Bay Park. It is a pet friendly town, so you will always see someone walking their dog to or from one of the area’s many parks. The Clairemont City Council began work on the Bay Park Village Subdivision in 1936. Shortly after this decision was made, Bay Park Elementary School was built - a school that is still in operation today. Like the rest of the schools in the area, Bay Park Elementary School is proud to announce that its students continually exceed expectations on state administered testing. The public schools in Bay Park and the rest of Clairemont are overseen by the San Diego Unified School District. You can be sure that your children will be getting a good education should you choose to relocate to Bay Park. Bay Park is a fairly diverse area, with large communities of German and Ukrainian descendants - something that is unusual in this part of the country. Due to the city’s amazing weather, abundance of local amenities, stable housing market, and consistently low crime rate, Bay Park is frequently rated one of the most liveable towns in Southern California. The one drawback of this region is that the cost of living is so high when compared with other areas of the country, but that is to be expected when you are residing in a coastal paradise. Because of these factors, the San Diego Metro area is consistently ranked one of the top real estate markets to watch. The city of Bay Park has a median home value of just under $700,000. Its median list price per square foot is only slightly higher than the San Diego Metro average, making it one of the more affordable cities north of Downtown San Diego. The properties for sale here range from older, single family homes that were built in the 1950s and 60s to newer homes and condos that were built in the early 2000s. Many of the older homes have been remodeled, with a 2nd story or upper deck added in order to make the most of the community’s stunning views. One of the great things about Bay Park real estate is that it is more affordable than many of the properties for sale in other, neighboring communities. Here in Bay Park, you can find oceanfront condos priced in the mid $300,000s. Finding a mid-sized condo at this price point in another coastal area can be difficult if not impossible. Because of these factors, properties in Bay Park do not go up for sale very often and when they do, they tend to sell quickly. The area’s spectacular view of Mission Bay is unbeatable - who wouldn’t want to live here? If you are interested in a Bay Park home, our team advises that you act quickly. You will not want to miss out on the opportunity to purchase an amazing home or condo. We are just a quick phone call away if you have questions or would like to learn more about the fantastic homes for sale in Bay Park. Baywood West is a 12 unit gated condominium complex located on Chicago Street and was built in 1979. The condos are two stories with two bedrooms and a private balcony. Complex amenities include an underground garage. Bellamar is a 41 unit gated condominium complex located on Chicago Street and was built in 1962. The condos are single story with one to three bedrooms and a private balcony. Camelot by the Bay is a 23 unit gated condominium complex located on Erie Street and was built in 1986. The condos are single story with one to three bedrooms, fireplace, and a private balcony. Complex amenities include an underground garage, pool, and spa. Costa Viva is a gated condominium complex on Clairemont Drive and has over 170 units. Built in 1974, the condos are single story with one to two bedrooms, in-unit laundry, and a private balcony. Complex amenities include an underground garage, pool, and spa. Forest Park Plaza is an 88 unit condominium complex located on Cowley Way and was completed in 1975. The condos are two stories with two bedrooms and a private balcony. Complex amenities include a pool, carports, storage and laundry. Mission Bay Condos is a 70 unit gated condominium complex located on Asher Street and was built in 1976. The condos are single story with two bedrooms and a private patio. Complex amenities include a pool, spa, clubhouse, barbecue areas, and a community storage room. Mission Bay Ridge is a 33 unit gated condominium complex located on Cowley Way and was built in 1981. The condos are single story with two to three bedrooms, fireplace and a private balcony. Complex amenities include an underground parking garage, pool, spa, recreation area, and barbecues. Morena Vista is a 12 unti condominium complex located on Asher Street and was built in 1986. The condos are single story with two bedrooms, fireplace, and private balcony. Complex amenities include an underground parking garage and spa. Sunset Cove is a 77 unit townhome complex that was built in 2008. The townhomes are three stories with two to three bedrooms, an attached garage, storage, in-unit laundry, and a private balcony. Complex amenities include a pool, spa, and playground. Tecolote Terrace is a condominium complex located on Cowley Way and was built in 1979. The condos are single story with one to two bedrooms, a private balcony, and fireplace. Complex amenities include a pool and spa.